Enjoy breakfast at the Fonda Llabrés made with local produce. Delight yourself with our homemade food and homemade cakes in our restaurant half a day. 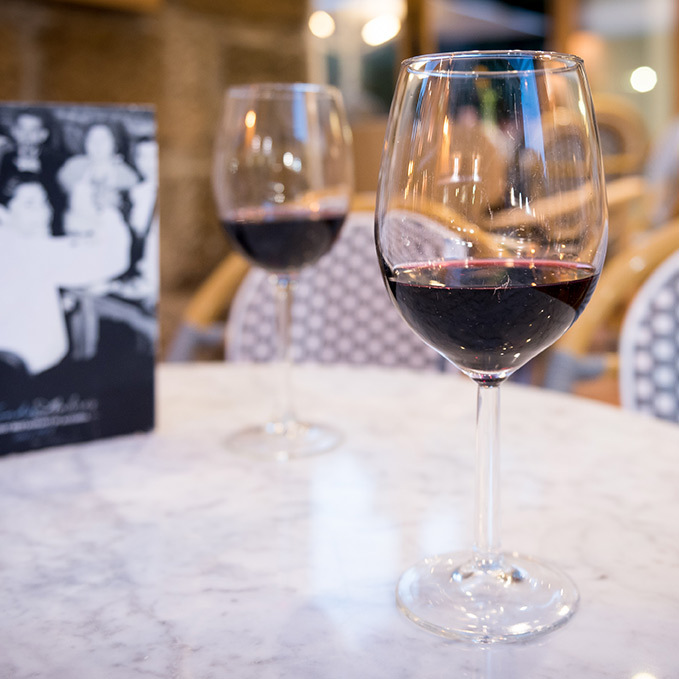 Relax on our terrace in the heart of Alcudia with an unforgettable dinner with wines from the island and our kitchen zero kilometer. 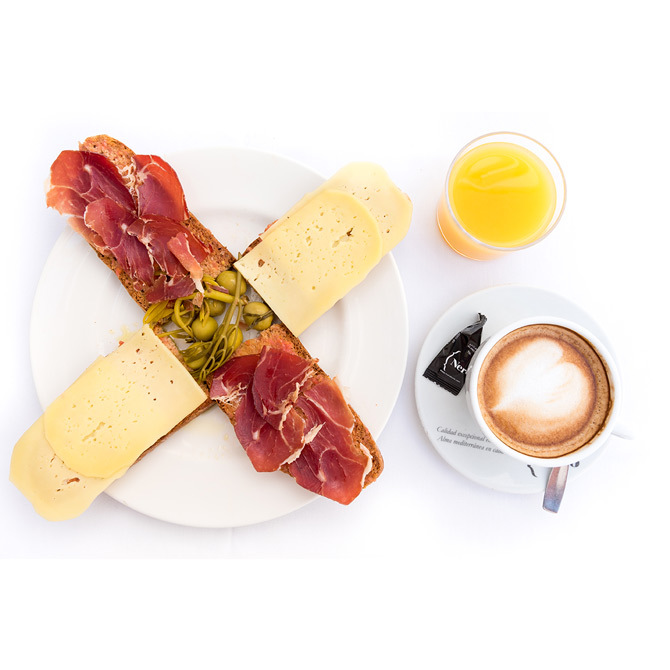 Choose breakfast you most want: Mallorcan, French, English, … We offer fresh, handmade and mostly products produced in our land, to start the day at 100%. 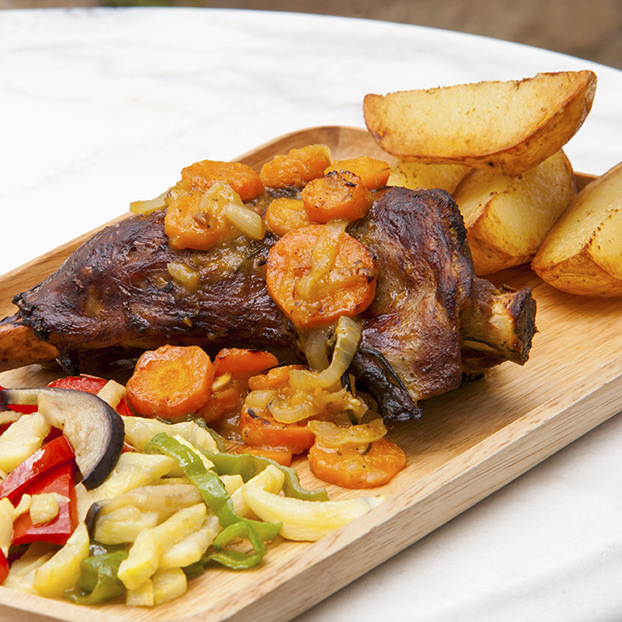 Feel like a Spaniard and come to try our daily menu. Homemade, Mediterranean cuisine, served quickly and with a smile. Each day a different with several options and the best price menu. We have revamped the menu of our restaurant offers appetizing and new culinary creations designed to delight every palate. Taste our selection of dishes that follow the Slow Food philosophy. Try our renewed and selected wine cellars. Enjoy them during lunch or dinner, or at any other time, as they always are welcome to be tasted!